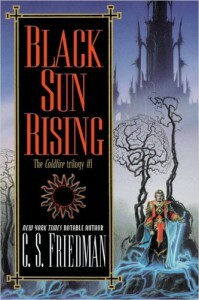 Black Sun Rising is another highly recommended fantasy novel that I took my time to get around to finally reading. Having completed this novel I admit that I am slightly torn about it as an entire experience. On the whole it is not quite as great a read as other novels I have rated four stars, yet at the same time there are large patches of the novel which are five star quality. These patches unfortunately mix with the three and two star patches. The biggest - issue - I had with Black Sun Rising, and the biggest drawing point of the novel, is that compared to other similar fantasies it is very alien. It features a world - Erna - which humanity has colonised in a distant future and upon which a new religious Church has been established. Centuries after the initial colonisation, Erna proves to be a difficult land for the people of Erna to truly settle. This is due to the mystical natural force which exists strongly throughout the planet: the fae. The fae is a force which responds to emotion, both good and bad, and shapes reality around it - leading in some places to the creation of demons and other nightmares. The magic system of this world stems from the fae as there are certain individuals who can manipulate it. Some can only learn to Work the fae as a power source, allowing them abilities to influence individuals, Heal individuals and Know things within the minds of others. In other words the fae acts as a physical supernatural presence within the novel's worldscape. Others are born with a more natural ability to See the fae around them and wield the power of that fae. However, while the fae is neither good nor evil, there are some currents within this fae which can only be channelled with more darker acts - such as human sacrifice or regular blood-letting. It is this conflict between good and evil which is nicely balanced and provides fascinating challenges within the plot. The plot itself follows the efforts of a priest by the name of Damien and his companions as they set off to find a group of monstrous creatures who have sucked the memories and powers of the adept Ciani. Along their journey they form uneasy alliances and discover secrets about the fae and about those who manipulate the fae that could alter the course of Erna's future. Unfortunately the book itself does end with a sort of cliff-hanger promise, yet I am intrigued enough to want to read on. One of the elements I disliked in the book was the romantic entanglements. Mainly in that there were several archetypes played upon such as 'respectable woman goes for bad boy' - even though that relationship was not particularly one of romance, as much as a master/apprentice relationship that hinted at something sensual. The other trope that was played upon was the whole idea of the 'heroic jealous male', with him sensing the rivalry for the affections of the aforementioned woman, from all the other men around him. Personally the way this all worked out in the writing seemed to convey a kind of twisted sense of love and I wasn't quite sure the author had a particular sense as to what she wanted to so with these ideas. In other words, to me, it felt as if the author had become like a fan and had fallen for certain ways of 'shipping' characters together. One of the other issues in this book is connected more to the prose than anything else. 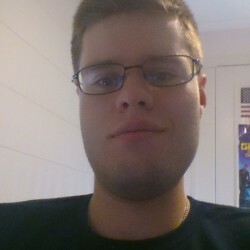 As can be common in fantasy, the themes and ideas overwhelm the ability of the author's writing and many phrases and descriptions are reused with annoying regularity throughout the plot. However, until fantasy can be recognised for its great literary ability again this will continue to be part of the norm. That aside this is a remarkable effort of worldbuilding. At times the book feels like a science fiction novel (without the guns, the spacecruisers or the technology) and at other times it feels like a solid fantasy novel. It is a use of disparateness and similarity that creates a world utterly alien and at the same time vaguely familiar, a world of nightmare and dreams. If you want to enter a reading experience with a world such as this featured within it then give this book a try.